UROCK Theatre Company delivers arts projects to schools in the East of England, supporting & initiating the young people’s cultural offer. As education specialists we have used that expertise to develop bespoke models of arts delivery and piloted them across the region with a range of schools & partners. Artists meet children & introduce the project to each individual school. Artists & Teachers engage with the whole school in order to advocate the work. The use of vocabulary & some new ways of working are established. A relationship is developed with the teachers. Children will learn that Performing Arts involves: ideas, design, participation, reflection & engagement in differentiated ways appropriate to their capability. 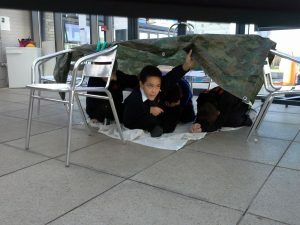 Children connect this work with their future visit to Theatre, through both narrative & skills preparing both their knowledge & expectations for their visit. 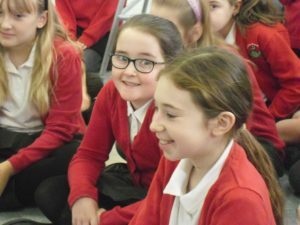 By visiting a venue to do pre or post engagement with cast or behind the scenes children become knowledgeable about theatre and its conventions. Space 4 Dialogue project model. 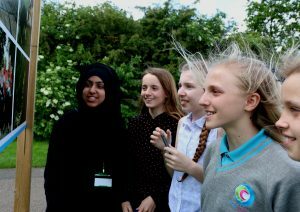 Are you a school or an organisation wishing to reach out to young people and consult with them about what is important to your school? UROCK Theatre Company has developed this in direct response to a request for a model empowering young people & their partner organisations. Our vision is to help young people realise their potential, using active creative approaches to consult with them and support their ideas & actions. We have received investment & support in the past from Norfolk & Norwich Festival Bridge & the Viscount Nelson Norfolk Schools Improvement. How does Space 4 Dialogue work? Making a space to talk about what is important together, learning to negotiate, view others perspectives and form an opinion. All these take practise and we spend time doing exactly that, as artists we improvise, draft and develop ideas as well present them. This model is unique because it is flexible and can be used to support any current agenda or narrative. As artists we co-design with our organisation partners and we facilitate and lead that journey by using our creative skills and our experience as project managers. The activity is arts based and will be fun to take part in. 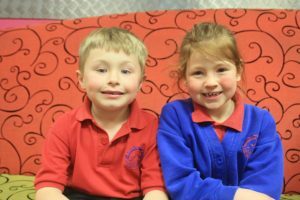 Our core business is placing children and young people at the centre, and we develop that objective by working with their learning experience with adults. We will work with several settings in order to encourage partnership & exchange. We will work with a theme or agenda that is chosen by the partnership, making the work bespoke to the organisations, and co designed. What does the model include? In all pilots of this model we have encouraged or commissioned external feedback. This is an extract. The target is year 7&8 students. The rationale is to ensure students have an early perspective in their school career to be informed about the Arts. The artists will seek in this project to create an excitement about career routes in the Arts Industries, helping students to unlock their potential and raise the status of the Arts & its potential learning in the Curriculum. The model includes: 3 whole days of Artists in residence with students and staff – timetable collapse for these students and students attend from different centres [possibly GFT students] At least 2 artists will deliver the work and their art forms will be chosen once the planning session has taken place. Frame – collaboration of cross art forms: integrating music dance & theatre [visual arts] that is contemporary and does not use the normal musical theatre template. Unlock potential & identify career routes. 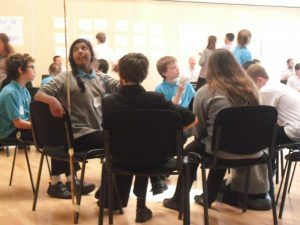 Project Title – The work will be bespoke and decided by the schools in a shared planning meeting Example ONLINE It will provide the inspiration and narrative from which to devise new material and work with core practise. A CPD training offer with teachers & TA’s – This will be an offer to all partnership schools that can be accessed on the same day at one venue. 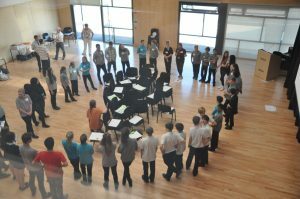 The model offers a large intervention across a school to engage with Shakespeare. The play is chosen by the school. That play will be explored with all ages at a level of understanding appropriate to age. 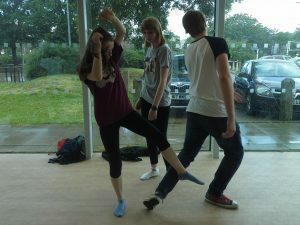 The students will explore character, story, and concepts underpinning Shakespeare through movement & theatre activities. 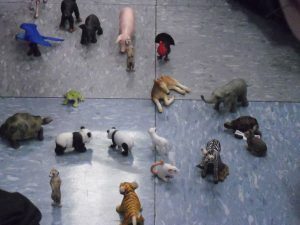 A typical model might look like this: With 2 Artist delivery in 2 practical spaces simultaneously. *Models can be devised according to school size, facilities and availability of students. A strand of that delivery this year has been the brokerage of high profile Artists in Peterborough including: - commissioned Dance/Theatre work with Gecko, a working relationship with Moko Dance, a long term champion role with Cardboard Citizens Theatre Company achieving wide-ranging impact in schools citywide. In 2014 alone, UROCK worked with over 20 primary schools and 10 secondary schools to delivery cross-arts residencies. These are bespoke to the institition we are working with and involve student leadership and creativity. 3 - 5 days contact with two or more artists. A taster of different art forms or practices. Group work to create an inter discipline performance/exhibition/installation. An inner or outer audience to observe/participate in the work. Arts disciplines worked with in the past: Acting, Movement, Storytelling, Recorded Voice, Sculpture, Dance, Drawing, Creative Thinking, Site-specific Performance, Improvisation, Comedy. 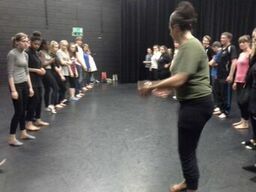 Arts Leaders Training at Royal Opera House Production Park and Backstage Centre Thurrock. 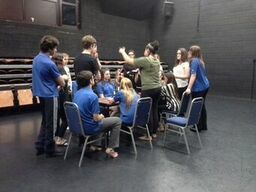 As part of the development process of Peterborough Cultural Partnership, in May 2013 UROCK Creative was commissioned to provide three days of arts based active training to 22 young people with an age range 7-18, 2 parents and 3 UROCK practitioners. This culminated in setting young people a project challenge to plan and pitch their own arts event. Using media equipment selling the idea became a central part of their successful projects. 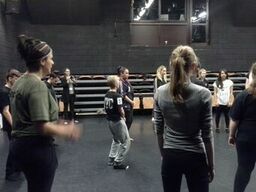 The third and final day was a visit to The Royal Opera House Backstage Centre at High House Thurrock in Essex, where young people were able to find out opportunities for career pathways in the creative industry and practise their learning by asking intelligent questions about behind the scene skills and production processes. 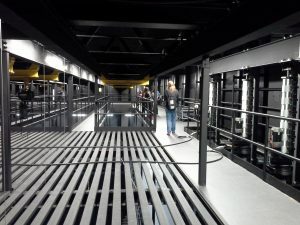 As a group representing Peterborough, they were much younger than most visitors to ROH & Backstage but were inspired by the facilities and the experts they met. Jointly funded by Peterborough Learning Partnership and Norfolk and Norwich Festival, this project involved representation of young people from all areas of the city coming together to create a team. Playground tours are a lively, inclusive experience for all students to get the feel of working with new people, having ownership of their work and sharing to an exterior audience. A mixed group of students from 3+ schools working together for three days. On a theme or an art form. Collaborating with teaching assistants who become Guardians of the project. Last day touring all schools and presenting their work. Past briefs include: Boys/Mixed Dance, 'Ice Palace' by Robert Swindells, Storytelling, [a certain] Music Track.